Explore, Inspire, Envision, Evolve and Succeed! The MWSU Career Development Center (CDC) is a centralized, comprehensive operation geared to assist all MWSU students with their career management needs. Our office is a full-function career planning center serving all MWSU students from freshman year through graduation. The more knowledge you have on your major the better employee you’ll be at your internship. 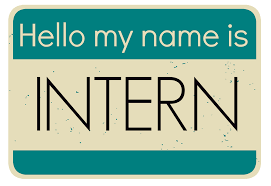 Most students do not begin working at an internship until they have chosen a major and has begun taking course in the major. Internships help you build invaluable real-world work experience, which sometimes means taking an unpaid internship, though some internships are paid. The interviewing process can be nerve-racking and scary at times, but with these tips you can say goodbye to the sweaty hands and fidgeting and hello to interviewing with confidence. Interviews are opportunities to impress someone who might become your new boss. A screening interview can be conducted over the phone or in-person. It is usually the first interview of someone who has qualifications. Depending on if you have impressed the employer, he or she will then let you know if you qualify to move on the second round of the interview process. Phone interviews are often used to screen candidates in order to narrow the pool of applicants who will be invited for in-person interviews. A typical job interview is one-on-one between a candidate for employment and a hiring manager. The interviewer will ask you questions from work experience to what you like doing in your spare time. This interview is usually conducted privately in a closed-door office. Group interviews can involve many people. Companies usually use the group interview technique when it is a huge business or they need multiple people fast. At these interviews the applicants may answer a series of questions about team working skills, leadership, or complete problem-solving activities. Stay composed. Don’t slouch, fiddle with your thumbs, or move uncontrollably. Keep steady eye contact. Make sure not to look at the ground while answering questions. Have answers in mind. When being interviewed, you will be asked a series of questions about your education, past work history, yourself, your interests and goals, as well as items listed on your resume. You want to answer with straightforward answers. Do not allow your interview to go sour and boring with long answers. Have questions ready. At the end of every interview, the interviewer will ask if you have any questions for him/her. It’s always nice to have at least three questions to ask your interviewer. Some good topics are advancement opportunities, training, and the future of the company. Ask for a business card. If you haven’t already received a business card from your interviewer, ask for one at the very end of the interview. You might also want to ask questions like, “What’s the next step of the interview process? When is the next time you’ll be hiring?” Express your appreciation for the opportunity to interview and leave with a smile and a nice, firm handshake. Limit your questions. Try not to seem pushy while asking questions. Do not overload the interviewer with too many questions at once. You could seem desperate and needy. Don’t rush. If you notice yourself getting sweaty palms or fidgeting, remain calm. Take slow, deep breaths before an interview and speak clearly. Is everyone able to use the services provided by the Career Development Center? Yes, all enrolled students and graduates of MWSU are able to take advantage of the services provided by the career center. Can the Career Development Center help me choose a major or career path? Yes! Please visit our office during scheduled walk-in hours, or call us to make an appointment and speak with a career advisor. We regularly schedule Career and Self-Assessment Workshops (CSAW’s) that help students identify their interests, skills, values, and personality and, with the guidance of a career counselor, you may connect the information you have gathered about yourself to possible majors and career. Can the Career Development Center help me find on-campus employment? Both on-campus and off-campus student employment opportunities are posted in Handshake. Students can access through their Goldlink profile. Will the Career Development Center place me in a job after graduation? No, we are not a placement office. However, we can provide you with various job searching tools necessary to conduct a proactive, strategic search in a highly competitive job market. Is there someone who can critique my resume? Yes, you can schedule an appointment to have a counselor review your resume. We DO NOT write the resume for you, rather we offer suggestions for improvement. The best way to prepare for an interview is to research the company, review traditional and behavioral interview questions, and participate in mock interviews. You can schedule a mock interview by calling the career center. An informational interview is one way to get information regarding different occupations. Whether participating in a face-to-face discussion or phoning a professional in the field in which you are interested will give you a “heads-up” on the pros and cons of the profession, the qualifications needed, and may even provide a networking opportunity for you. How can I find out about job fairs? View events, including job fairs on the Career Services homepage. Career Services also sends emails to all students regarding events and will post announcements in the Griffon Weekly online publication. DISCLAIMER: Missouri Western State University’s Career Development Center and Student Employment acts only as a referral service, advising individuals of employment opportunities submitted to the office. No recommendations or guarantees are made about the positions or employers listed through Missouri Western. Missouri Western is not responsible for the wages, safety, working conditions, or other aspects of off-campus employment. We encourage you to conduct a broad search of jobs as often as needed to obtain employment. When reviewing job listings, students should keep in mind interests and career goals, in addition to schedule and pay rate. Off-campus jobs listed through Missouri Western are not endorsed by Missouri Western. It is the responsibility of the individual to take the necessary precautions when interviewing and accepting employment. Job seekers are encouraged to exercise good judgement when considering a job. Carefully check any employer you are considering to be sure the job offered is legitimate. Watch the Federal Trade Commission’s video on job scams.